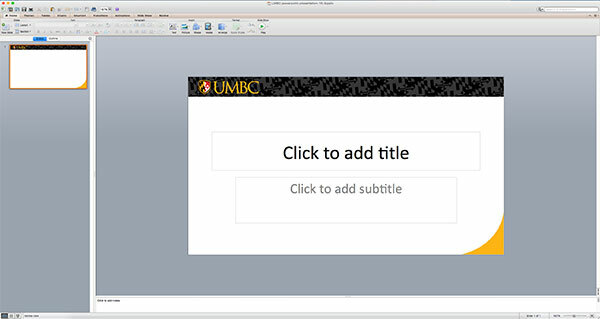 A UMBC PowerPoint template (widescreen/16:9 format) is available for faculty, staff, and students who make presentations to external audiences. The template includes the primary UMBC logo and graphics. 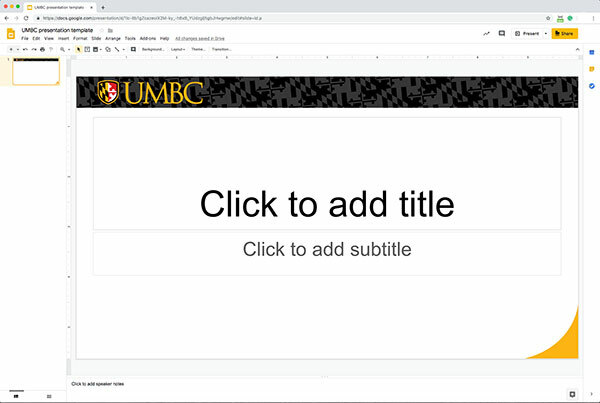 A UMBC Google Slide template (widescreen/16:9 format) is available for UMBC faculty, staff, and students who make presentations to external audiences (you need to use your UMBC email address to access). The template includes the primary UMBC logo and graphics.